Shortly after Google made the new Google Play Editions of the HTC One and Samsung Galaxy S4 available, stories began to run with fear that updates would not be directly supplied by Google and that OEMs would still be a part of the equation, causing delays. I think I even saw someone claim that HTC and Samsung would hold updates back, and not release them until they had their own skinned versions of updates ready for the carrier-tied versions of the same phone, as to not show preferential treatment. Except that logic goes completely against the point of these phones, but yeah, it’s getting wild out there. These worries began because select media outlets with the devices in hand noticed that the kernels for each have been built by HTC and Samsung in both GPe phones. Oh no! That means that the OEMs are still a part! It’s like the Galaxy Nexus LTE on Verizon all over again…or something! Ok, not so fast. Settle, folks. We reached out to Google PR to get some clarification on the subject, and have news that you should have expected from the beginning. Actually, this is essentially what Google told us from day 1, when they first announced the “Nexus experience” phones. 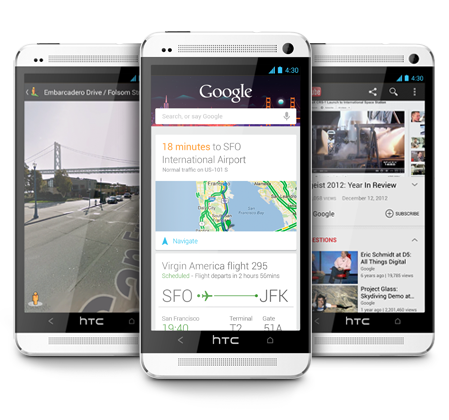 Updates will be timely, as Google will work directly with HTC and Samsung. On background, we will be working very closely with Samsung and HTC on future software updates for these devices and they will receive software updates shortly after a new version is released. So there you have it. Whether they are coming directly from Google or not, they have committed to supplying updates “shortly” after new versions of Android are released. Even with kernels being built by the OEMs, there won’t be significant delays or any other shenanigans.